To Faux or not to Faux??? The weather appears to be getting warmer…I hope it’s not a false alarm like the other week. One week sunshine and Spring, the next we have snow and freezing temperatures. But ey! It’s Canada. We have to expect anything! From time to time, I mention about using faux branches and flowers for help in short season containers. Some people like the help of added colour and some people don’t. In the photos displayed here. We have one container “au naturel”…I do like it this way. 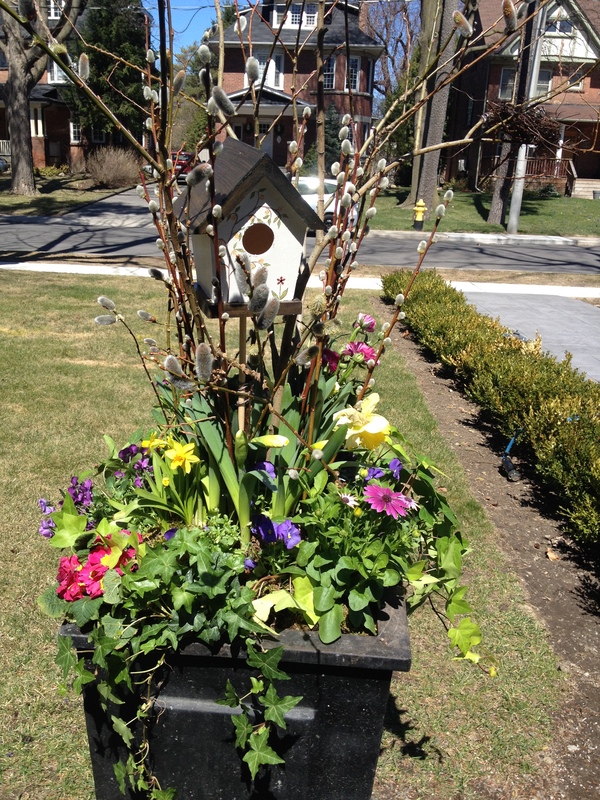 I think it’s pretty, but these containers are placed a little way from the street and you can see from the photo with the added branches and flowers that it makes quite a difference. It also helps give the containers a punch of colour, for when the bulb blooms have faded. 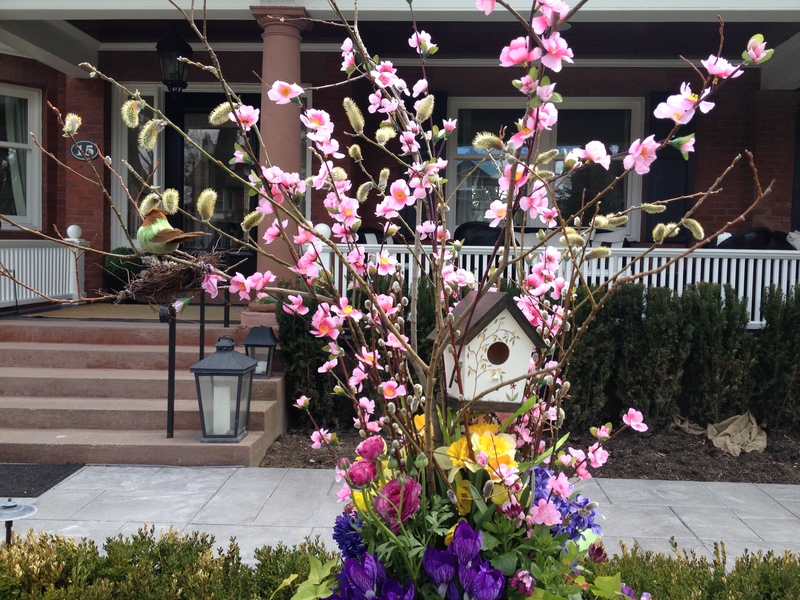 Check out the Spring Container gallery to see more Custom Designs. Beautiful and a nice idea.